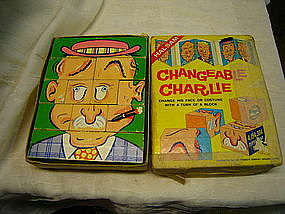 Vintage wooden cube puzzle of Changeable Charlie by Halsam. There is some wear to the blocks and both pieces of box have damage and taping. I need your zip code to calculate the postage.